Communication has evolved over the years and so has the way people in Singapore market their products and services. Marketing has changed with technology compared to the old times when one would have to place an ad on newspapers or directly market their products from door to door. The costs involved with this kind of marketing were simply outrageous. If you had an urgent message to send to a marketing branch miles away, you had to use a fax machine or simply send a letter that took days to reach the receiver. But all this changed with the introduction of the internet which made things much easier. Email was one of the blessings that came with the internet. It allowed one to engage with someone miles away as well as send messages in a matter of seconds. Email marketing in Singapore was also born in the process. This kind of advertising is not only less intrusive compared to television ads, but it’s also less expensive. Email marketing requires you to collect potential clients' email addresses. For a more targeted approach you can also collect the demographic details in the process of collecting the email addresses. The demographic information can help you schedule email campaigns based on the available data such as age, gender or location. This form of marketing is more efficient as it’s more focused on individuals rather than a mass. This way you know that the right message has reached the right people. 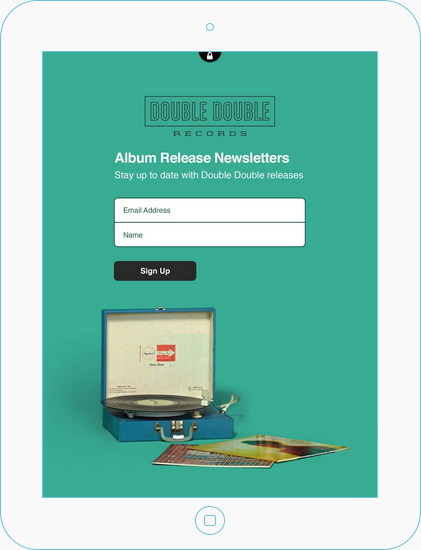 The iPad can be used for email marketing in a number of ways. Because purchasing these gadgets can be quite expensive, there are iPad rental companies in Singapore and other countries across the world. One of the ways is by using the Chimpadeedoo application which collects email addresses from various sources and keeps them on the iPad locally, even when it is offline. When the gadget gets back online, the app pushes the email addresses collected to the list in Mailchimp if one exists. You can customize the background with your favorite themes and even pick your own fonts. Group email is one of the best email marketing applications and it comes with many features. It helps you manage and read your emails on the iPad. It comes with a user interface, distribution list creation option, syncing mails, sending professional emails to groups and many other features. At Touristpads, we rent iPads for email marketing and other different events your company may be having in Singapore. We provide you with the latest iPad 4 and iPad air which comes with a retina display, security cases and accessories to make your email marketing much easier. At Touristpads, we deliver to and collect from your company at your convenience. Please call us today at 9274 1349 and find out more about our services.